The Puzzling Therizinosaurs - are they the Strangest of all Dinosaurs? Home/Dinosaur Fans, Main Page, Palaeontological articles/The Puzzling Therizinosaurs – are they the Strangest of all Dinosaurs? The Puzzling Therizinosaurs – are they the Strangest of all Dinosaurs? Therizinosaurs – A Dinosaur Designed by a Committee! Looking back over various text books, journals and papers from the 1960s, 70s and 80s you can get an impression of how our knowledge of dinosaurs has changed over time. New fossils and new techniques used to study existing specimens have yielded much more data, which when interpreted has provided palaeontologists with a great deal of information about these prehistoric animals. However, the Mesozoic fossil record is still full of surprises and the emergence of the Therizinosaurs, this bizarre group of meat-eaters turned plant-eaters illustrates this point nicely. Very large fossilised claws were found by a Russian expedition to Mongolia in 1948, at first these claws, which measured up to 1 metre in length, were thought to belong to a huge tortoise, and these fossils remained a mystery with little further evidence found to help describe the creature to which these huge claws belonged to. In 1954, papers published by the expedition leader, the eminent Russian palaeontologist Evgeny Aleksandrovich Maleev (who was also responsible for naming Tarbosaurus bataar); described the genus Therizinosaurus and the species T. cheloniformis – the first “scythe reptile had been described, but what this animal actually looked like was very much down to speculation. Several years later fossil finds from China (hind limb bones indicating a four-toed foot, a tooth, part of the pelvic girdle) were discovered and a more complete picture of this strange dinosaur group began to emerge. Therizinosaurs seem to be comprised of various elements of other dinosaur clades. Parts of the very wide hip area resemble pro-sauropods, the pelvic bones with the swept back pubis bone, pushed up against the ischium is more typical of an ornithischian dinosaur than a saurischian. This arrangement is known in other saurischian dinosaurs, Maniraptorans such as Deinonychus and Velociraptor have this arrangement, as do their close relatives the birds (aves). The wide hips and the placing of these pelvic bones may have evolved to accommodate an enlarged gut as the Therizinosaurs switched to eating plants. 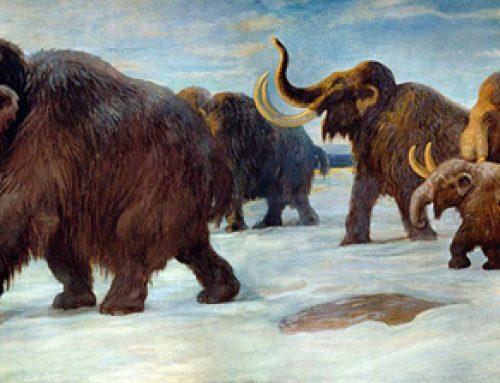 The huge claws would have been helpful in pulling down branches and it is thought that these animals fed rather like giant sloths. About 12 different genera are known, all but one located in Asia, but the fossil record of these creatures is very sparse. How effective the huge claws may have been at deterring the large Tyrannosaurs around at the time is the subject of much speculation. These large creatures were not capable of moving very fast to escape predators, perhaps they flapped their arms in a threat display to put off would-be attackers. The claws were very heavy and scientists have carried out preliminary studies to try to understand whether the muscles in the forelimbs permitted these animals to swing the claws with much force. If they had been able to put some “umph” into it then the claws would have been very formidable weapons indeed. The lack of fossils has prevented scientists from carrying out more detailed studies, this area of research is on-going. The discovery of huge forelimbs (ascribed to Deinocheirus), further confused and compounded scientists. The forelimbs of Deinocheirus were huge – 2 metres long, these are the only remains found so far and they are in the same area and same geological deposits of Therizinosaurs. Each finger on the three-fingered hand had a huge claw, but this time the claw was very different from the long blade-like claws of a Therizinosaurus. These claws were thicker and much more curved. Palaeontologists have speculated that Deinocheirus was a giant ant-eater. If Deinocheirus turns out to be a close relative of the Therizinosaurs then this could be an example of parallel evolution. In mammals, the order Xenarthra (means strange-jointed mammals; as the vertebrae have extra joints between them), consists of bizarre looking animals such as sloths, armadillos and ant-eaters. These are all closely related mammals that have evolved to fill specialist niches in the food chain, in perhaps just the same way that these bizarre Therizinosaurs did so 100 million years earlier.